All Gas and Gaiters: Christ Our Future 2000. 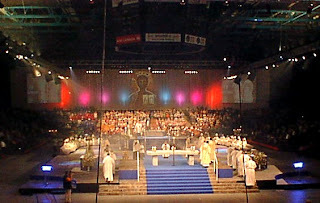 Do you remember that amazing day on 10th June 2000 when over 800 priests 40 Bishops and Ten Thousand faithful celebrated the 'Christ Our Future' Millennium Mass at the London Arena? I'll never forget the joy, the singing and the optimism of it all! 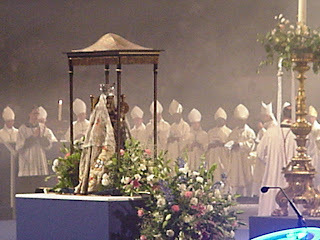 The chief celebrant was Archbishop Hope of York and the Bishop of London preached. Sadly not many of those Bishops or Priests and Deacons will now be travelling in the same direction or at the same time as we did when we all united on that great day. 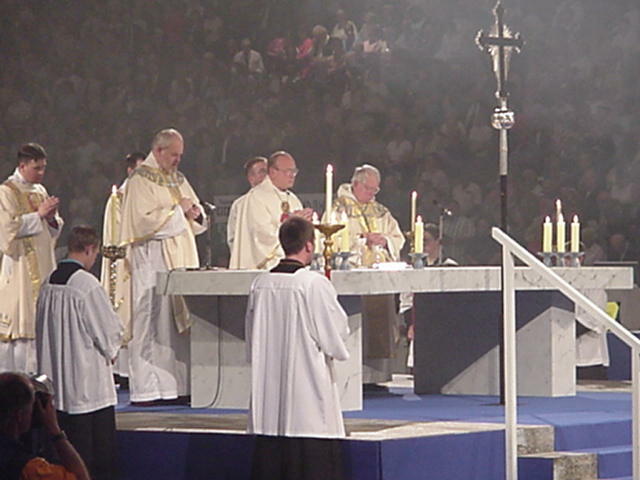 But the power and the guidance of The Holy Spirit from that occasion surely continues to breathe and ignite the Anglican catholic movement these ten years later and in ways which we only would have dreamt of then. 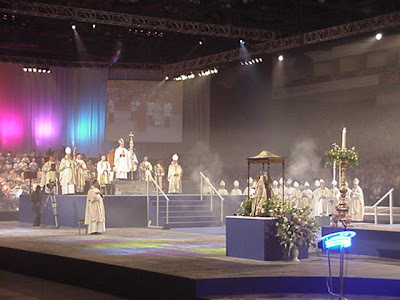 I hoped that there might be a marking of the tenth anniversary of that magnificent day with something similar but now Christ our future is, even better, calling us through Benedict XVI to celebrate our catholicity as Anglicans from all over the world and in great numbers too, at another venue. 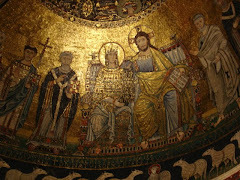 This time the procession will lead not to London but to the mother church in Rome! Those dockland martyr priests who fought the fight for the Anglican church to recover her Catholic roots will surely be there, and watching over, to greet us. Here is the prayer we prayed for three whole years leading up to the great Millennium Mass, who can deny that prayers get answered and often in unexpected ways!! 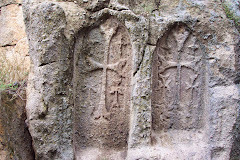 Father all-powerful, creator of all things, judge of the living and the dead, you have raised our Lord Jesus Christ from death to life, resplendent in glory as the King of all the ages. Open our hearts to Christ who is our Future; free the whole world to rejoice in his peace, to glory in his justice, and to be made new in the power of his love, who lives and reigns.....Amen.